HotelTonight makes it remarkably easy to book great hotels at amazing rates for tonight, tomorrow, and beyond. Our goal is to be the premier and most loved way to book a place to stay and we’re looking for a Sales Lead to do just that. You’ll be one of the founding members of our brand new sales team! As a Sales Lead you will manage a team of Account Executives that are laser focused on business development on the west coast. You’ll be responsible for hiring and developing the sales team and setting the sales strategy for our entire west territory. You’ll be tasked with building a high performing team that responsible for growing Hotel Tonight’s customer base and penetration in key markets. You’ll be a player, and a coach- helping execute high value, strategic sales, all while supporting the pipeline for your team. You should be an effective collaborator, as you will frequently engage with our global supply leadership and other regional teams at HotelTonight. At the same time, you should be an independent operator - comfortable with building a new team, defining what success looks like for yourself and your team, and then effectively delivering against that. This is a great opportunity for a leader who is passionate about growing our hotel base, bringing on new accounts, driving revenue, and developing a high-impact sales team! Pursue high value, strategic sales prospects. Effectively drive and manage the sales cycle for key accounts. You are a result driven with a proven track record of meeting and exceeding quota. You are resilient and have an unflappable personality. You are persistent, you effectively navigate rejection, and are never discouraged. You’re comfortable using sales tools such as LinkedIn, Salesforce, Mixmax, etc. Be part of a company that is revolutionizing hospitality and travel spontaneously! 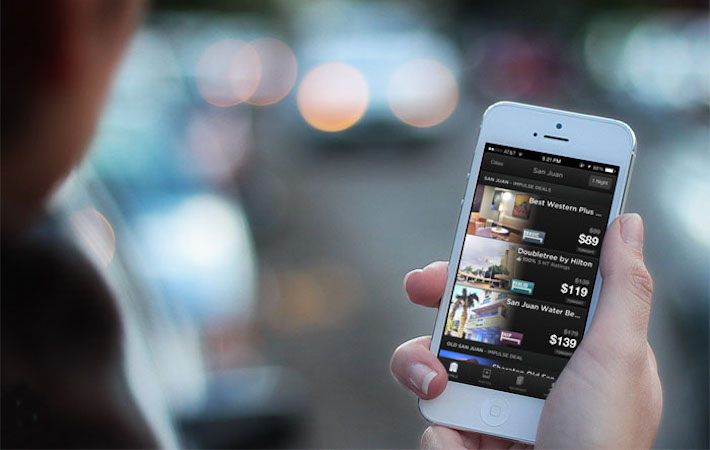 We are on a mission to radically transform hotel bookings. Doing this requires us to think differently and to question conventional approaches, therefore it’s essential to have a diverse team of the very best people with all types of backgrounds and experiences to bring the best ideas to life. We are committed to maintaining an environment where all of our team members have the opportunity to be heard, to make an impact and to do the best work of their lives. So we make it remarkably easy to book great hotels at amazing last-minute rates on your mobile device, for tonight, tomorrow and next week. When hotels have unsold rooms, they load them on the app, which means you get incredible deals. We screen every hotel featured, and only work with ones you’ll love. By booking on HotelTonight you get the flexibility to play it by ear, while knowing you’ll get a great price and a great place to stay. Want to learn more about HotelTonight? Visit HotelTonight's website.